If I was going to appear on Mastermind, I reckon my topic of choice would be Socialites in the Early Half of the 20th Century. Mitfords, the entire Happy Valley set, Vanderbilts, ol Wallis, Garmans, Curzons, Alice de Janzé, Idina Sackville… Betty Carstairs, most recently. If it wasn’t for my abysmal memory and total inability to recall facts, I’d be all over that. Anyway, clearly I haven’t been swotting up enough because it appears there’s a pretty major player I’ve been missing out on; Nica Rothschild. A new biography by her great-niece, Hannah, was reviewed in just about every supplement this weekend and it’ s gone straight on my wishlist. 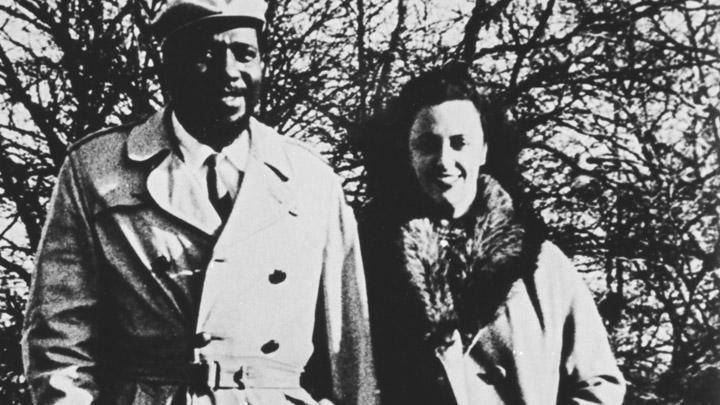 Nica (Kathleen Annie Pannonica by birth) Rothschild was a bit of a wildcard socialite by all accounts, ditching her family and fortune in a heartbeat the very second she heard a piece of music by jazz master, Thelonious Monk. Shunned by society but accepted into a new family of musicians, she was often spotted driving jazz legends around in her duck-egg blue Bentley and apparently drank whisky from a flask disguised as a Bible. What a woman eh? The Baroness traces Nica’s extraordinary, thrilling journey – from England’s stately homes to the battlefields of Africa, passing under the shadow of the Holocaust, and finally to the creative ferment of the New York jazz scene. Hannah Rothschild’s search to solve the mystery of her rebellious great aunt draws on their long friendship and years of meticulous research and interviews. It is part musical odyssey, part dazzling love story. I’m just excited about having a wealth of useless facts about another socialite up my sleeve, ready to bore stupid the next victim who asks what I’m reading. The Baroness: The Search for Nica the Rebellious Rothschild by Hannah Rothschild goes on sale on 3 May – and if it ignites my imagination as I imagine it will, there’s a documentary and another early biog too… AND Hannah will be talking about the book at the Hay Festival. I’m going to use this post as my own personal ‘What shall I read next’ guide. You were dead on about the Curzons being a fascinating bunch – I might go Vanderbilts next.